Basketball coaches are typically fond of talking about all the things they do with their teams to get an advantage over other teams. Coach DV stayed out of these conversations. They irritated him. At basketball camps and coaching clinics, he would often be asked by young coaches what his teams do. Many interpreted his reply as a reluctance to give away secrets. But Coach DV really couldn’t articulate what it was he did. Or, if he could, he wouldn’t or didn’t like to, or he was “tired of all this talk” and didn’t even want to think about it. Basically, his teaching consisted of four simple rules. Another laugher. Everyone knows it’s good to take easy shots. But again, the problem is that in games, coaches don’t require it and teams don’t do it. They take difficult and bad shots. The idea is to move fast and pass to each other until someone gets an easy shot that anyone can make. Coach DV didn’t want anyone making difficult shots. He wanted all the shots to be easy. It was the pass and the movement that created the opportunity. That was what deserved the applause, Coach DV said, not the shot itself. Long before legendary North Carolina coach Dean Smith started his now world-renowned practice of having his players point at the passer in order to thank him, Coach DV was ordering his players to thank each other. He didn’t require a public acknowledgment, but he did require that his players thank each other. And he growled away any player’s swagger after scoring a basket. 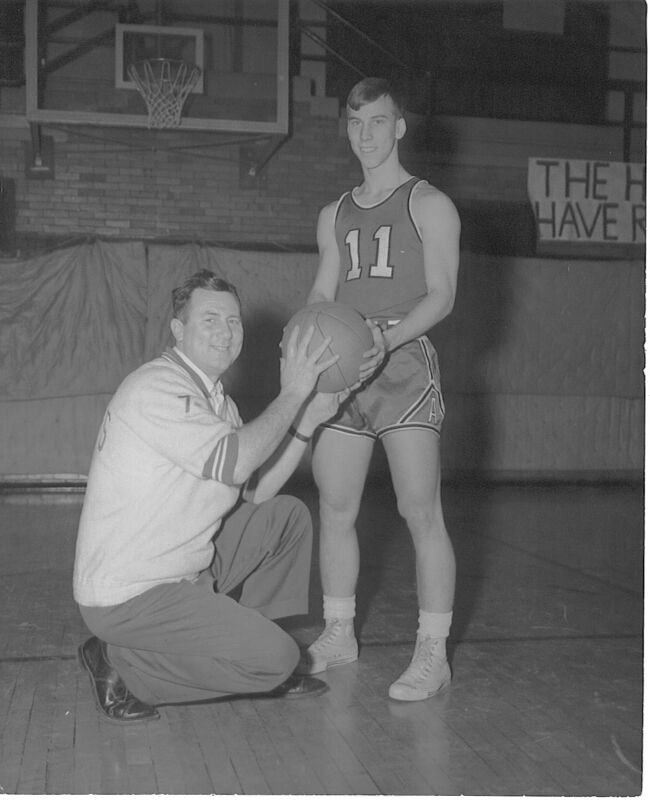 Coach DV always complimented the passer in hoarse yells that could be heard across the gym. He just loved a great pass.